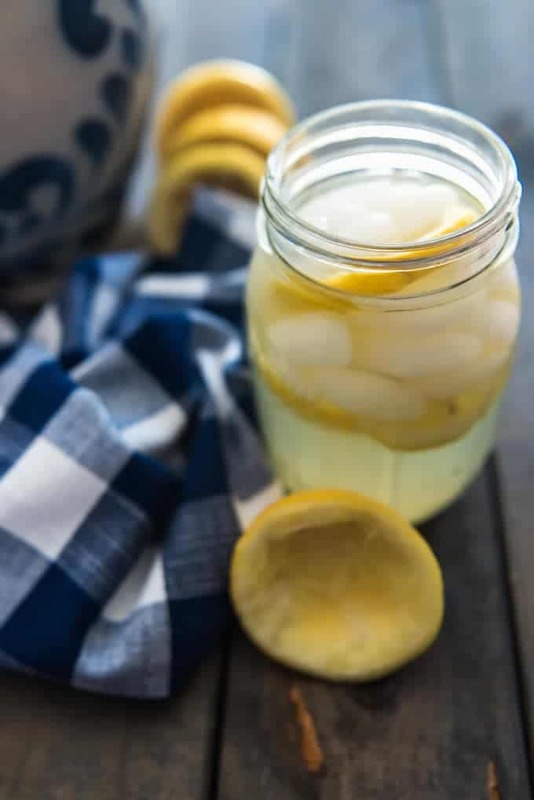 Sweet and tart and perfect for a hot summer day, especially when you have a bunch of lemons, there is nothing like fresh squeezed homemade lemonade! 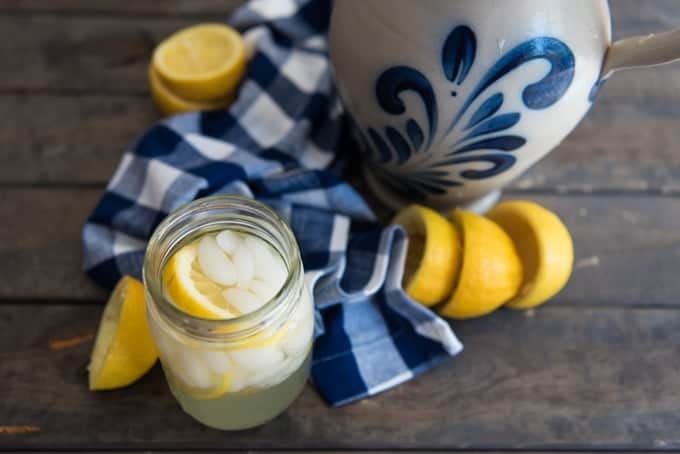 During the summertime, one of our favorite treats is a glass of icy cold, fresh squeezed homemade lemonade. 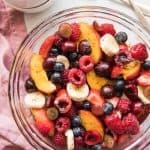 It is so, so simple to make and there is nothing quite like sitting on the porch in the shade on a hot day, drinking that sweet-tart stuff out of a glass filled with ice and sunny slices of lemon. 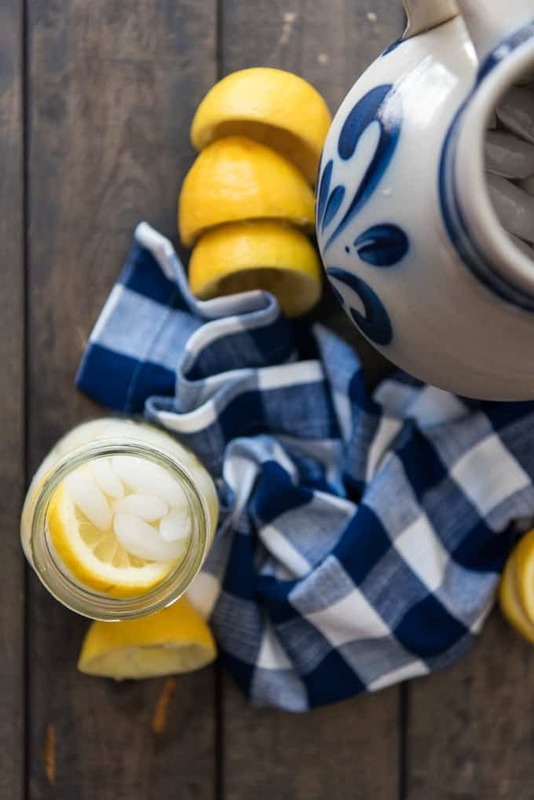 All it takes to make fresh squeezed homemade lemonade is a bag of lemons from your neighbor (if you’re lucky) or the store, a simple syrup made in less than 5 minutes, and a pitcher full of water. 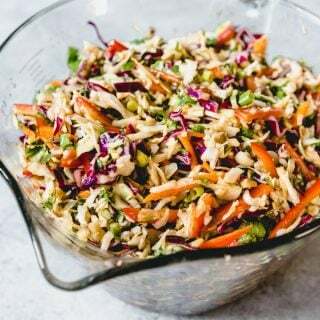 This is just the thing to serve at a 4th of July BBQ with my Uncle Richard’s brown sugar & honey smoked babyback ribs or all-american hamburgers with crispy onion strings. 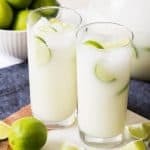 Plus, homemade lemonade is such a great thing for the kids to help make and I am always interested in ways to get the girls involved with me in the kitchen. They love trying to squeeze the lemons to get the juice out. And even though they know how sour lemons are by now, they still always try to sneak in licks when they think I am not looking. Silly girls. 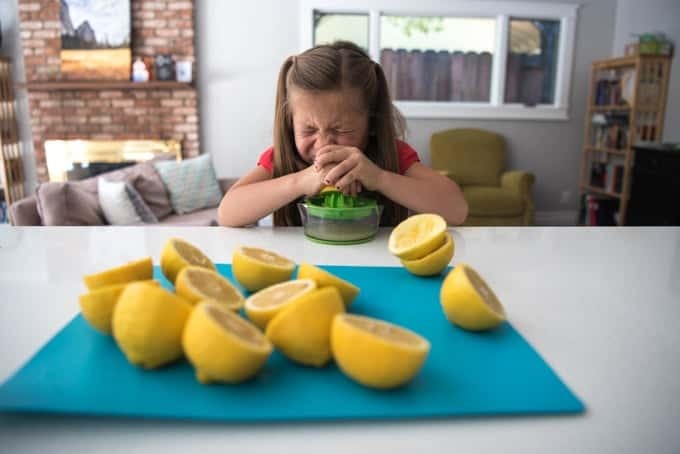 I hope that as they grow up, when they think of summer they will think of the taste of this lemonade and remember making it with their Mama. 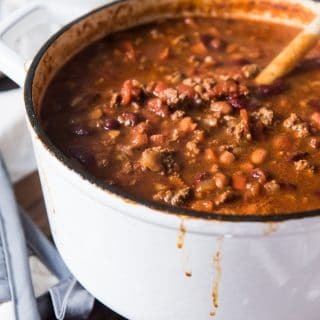 In a small saucepan, combine sugar and 1 cup of the water over medium-high heat. Bring to boil and stir to dissolve sugar completely, then remove from heat. Allow the simple syrup to cool to room temperature, then cover and refrigerate until completely chilled. Meanwhile, juice enough lemons to get 1 3/4 cups of lemon juice. The number of lemons needed will depend on the size of the lemons you have but generally speaking, 10 lemons will do the trick. Remove any seeds from the lemon juice, but leave the pulp. In a pitcher, stir together chilled syrup, the freshly squeezed lemon juice and the remaining 7 cups water. Add sliced lemons and ice to the pitcher for presentation. You can adjust the amount of water until you get the level of sweetness or tartness you desire. I like to add a lot of ice and hold back on some of the water at first so that the lemonade doesn't get really watered down. I have all these lemons lying around (big sale) and now I have something to do with them. 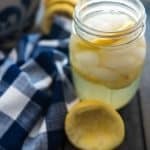 I know it’s fall but fresh lemonade sounds delish! Thanks. Homemade lemonade is the best and I don’t nearly make it enough. 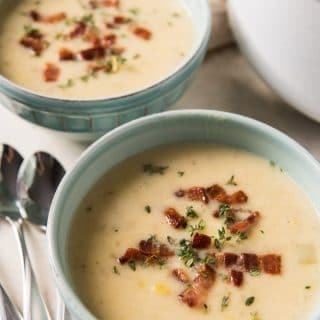 Need to make it soon and will try your recipe! Fresh lemonade is one of my favorite drinks. 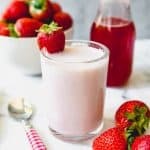 Will make a pitcher later and try your recipe! Homemade is so much better. Then, you know exactly what goes in. You made your daughter worked so hard. What a great face! Well it certainly has been HOT HOT HOT here for the last few days. HOTTER than the whole summer. This would have come in handy this past weekend. Homemade always tastes better, and I love that I can control the sugar level. I like mine on the tart side.